Not uncommonly, a comment triggers an edit by the OP, resulting in a retained comment that refers to some piece of the original question that no longer exists. Shouldn't we be able to delete or modify these comments? You can certainly delete your own comments. The system does not allow users to delete or modify other users' comments. 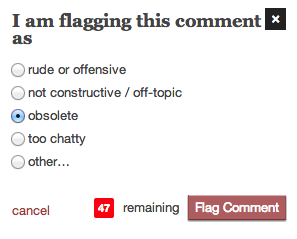 If it's another user's comment which has triggered the update, you can flag the comment as obsolete. Unfortunately the tooltip doesn't mention that as an option, but there is another question which indicates this is the expected course of action. Mods will receive the flag and can delete the comment. If the comment receives enough flags, it is automatically removed; otherwise, a moderator will take care of the flag.